This book Grandmaster and trainer Jacob Aagaard, one of the best modern writers of books, addresses the difficult and extensive world of calculation variants and how to improve the ability of a player to tactics and calculation. 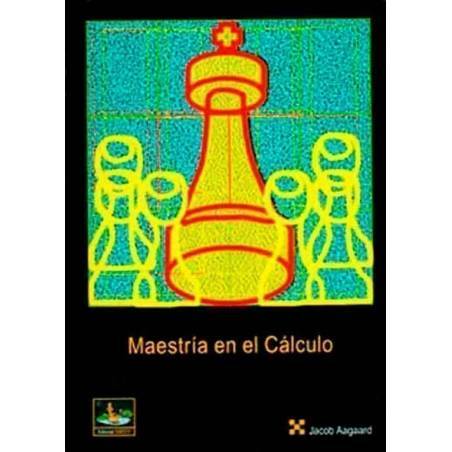 This book Grandmaster and trainer Jacob Aagaard, one of the best modern writers of books, addresses the difficult and extensive world of calculation variants and how to improve the ability of a player to tactics and calculation. It is without doubt one of the unfinished business of all the fans in the first place, but also teachers and great teachers. The author reviews various techniques that can be very useful in their games, at some point: the Candidate Plays, Elimination Method, the "Desperate" Comparison Method, reversing the order of moves and grants a chapter on Visualization and Calculus with Steps. Finally the author makes much of the book to the imagination and creativity, "we must train our mind and also open to certain forms of thought." A book solidly built under the teachings of his mentor Mark Dvoretsky. The diversity and depth of published advice and examples make this book indispensable for all levels of chess.